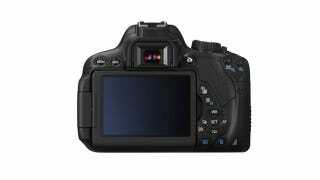 Canon Rumors posted what they claim are the specs for the Canon T4i, the successor to the company's entry-level T3i. And judging from the rumored numbers, any improvements made won't be quantifiable. The leak says that the sensor will still be an 18-megapixel APS-C sensor, and video will still be a 1080p at 24 or 30 frames, and 720p at 60 frames. The upper end of the ISO has reportedly received a bump, going from 6400 to 12800, and the max going from 12800 to 25600, so that could suggest improved low light performance. But apparently, it still shoots natively in 3:2, still has a 3-inch LCD, and still has 9-point Autofocus. Granted, even if the numbers are the same, performance could still be much improved if a new generation of sensors and image processors are implemented. But we'll have to wait for the official announcement to see if that's the case. Complete rumored specs are below, for your perusal. Update: Canon Rumors also posted videos of an alleged Canon T4i with a touchscreen UI. Looks pretty smooth. Image sensor size 22.3 x 14.9 mm approx. (35mm equivalent focal length marked on the lens focal length of approximately 1.6-fold). Shutter Speed ​​1/4000 seconds to 1/60 sec (Scene Intelligent Auto mode), 1/200 sec X – Sync. Charging time about 3 seconds. EX-series Speedlite external flash (the camera flash functions can be set in). Continuous shooting speed up to about 5 frames / sec. * Figures with 8GB card Canon testing standards (ISO 100, ‘Standard' Picture Style) is based. * The figures in parentheses UHS-I compatible with the 8GB card is based on Canon testing standards. Exposure Compensation 1.3 stop increments ± 3 stops (stop pictures: ± 5 stops). * AC power via AC Adapter Kit ACK-E8 can be used. * With Battery Grip BG-E8 AA-size when attaching / LR6 batteries can be used. Dimensions (W x H x D) 133.1 x 99.8 x 78.8 mm approx. * All data above Canon's testing standards and CIPA (Camera Imaging Products Association) testing standards and guidelines is based on. * Size listed above, the maximum diameter, length and weight guidelines is based on the CIPA (Camera Body Weight excluded). * From the lens of the camera attached to a third party if a problem occurs, please contact the appropriate lens manufacturer.